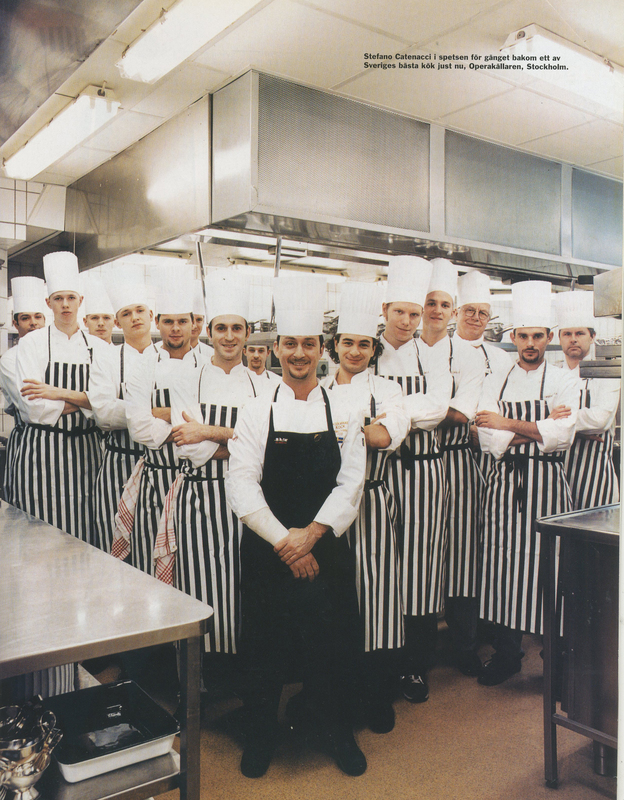 This picture, taken in the kitchen of Operakällaren restaurant in Stockholm, is a memory about the great achievement giving by the best Swedish guide (Sveriges Bästa Bord), in 1999. A very good team, with some great chefs like Marco Baudone, Markus Aujalay, Dan Bessoudo, Sebastian Denis, Chef Stefano Catenacci (master of Scandinavian gastronomy culinary) and other good colleagues and friends. In our kitchen there were a very intensive and positive competition because there were living together Italian, French, Swedish, English, Latin and mixed cultures. That brought the Operakällaren to be one of the best restaurants in Sweden, at that precise moment in history.